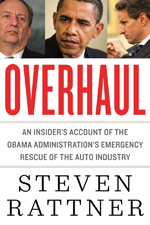 On MSNBC’s Morning Joe today, Steven Rattner presented charts summarizing the various challenges to economic growth that have emerged that are poised to test Trump heading into the 2020 elections. Whether it’s the government shutdown, the volatile stock market or the trade war (or other factors), worrisome economic signs are beginning to emerge. For starters, consumer sentiment has plunged. Since his inauguration, President Trump has bragged about how his arrival has buoyed Americans’ optimism. And until last October, that was true; economic expectations in October were the highest since 2002. Then the stock market rolled over, in large part due to rising interest rates and slowing global growth and American optimism quickly followed, particularly after the government shut down just before Christmas. 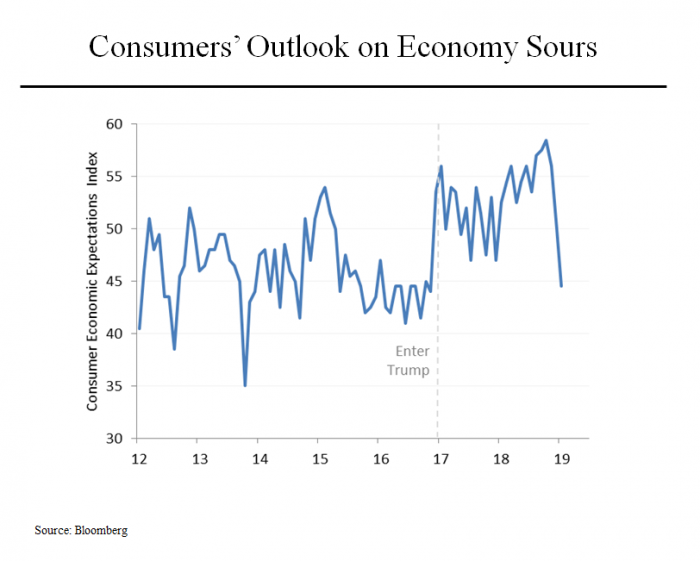 Now consumers are the most downbeat they have been since November 2016. If you have any doubt about the impact of government shutdowns on consumer confidence, look back at October 2013, when a similar plunge occurred. That shutdown only lasted 16 days. Meanwhile, projections for growth in the economy in the first quarter have also fallen sharply, from around 2.5% as recently as October 2018 down to 2.1% at the moment. That’s a far cry from the 3% plus that Mr. Trump has been promising. 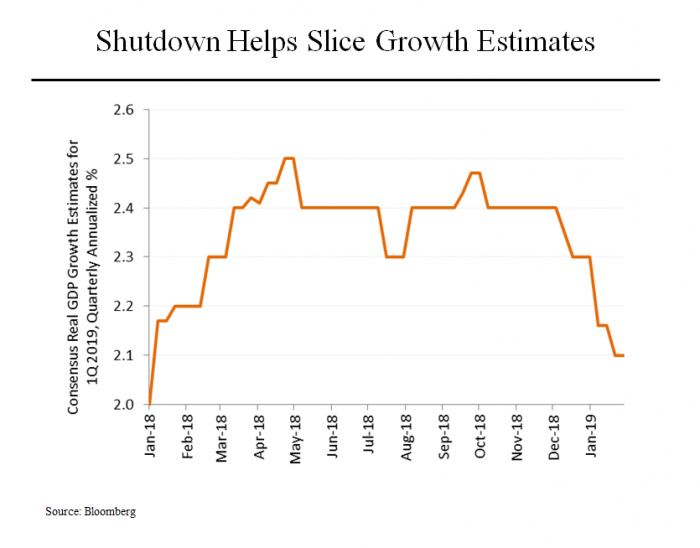 The shutdown certainly has accounted for the largest portion of the drop but there have also been worrisome signs on other fronts, such as a drop in December data for a U.S. manufacturing index one day after Apple cut its revenue outlook, which fueled more concerns about a trade war. Looking further ahead, Mr. Trump may face further economic trouble as the next presidential election approaches. Economists are growing increasingly nervous about the possibility of a recession. 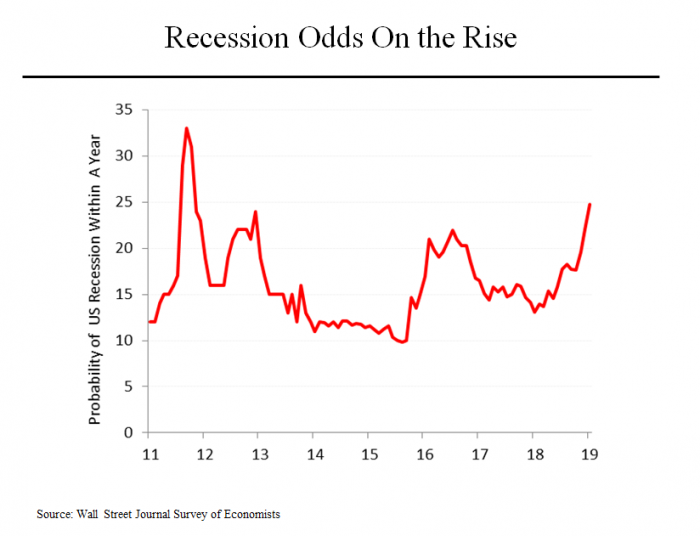 In the latest Wall Street Journal survey, 25% of those polled expect a recession to occur within a year, the highest percentage since October 2011. A year ago, those same odds were at 13%. Looking out to 2020, the survey results were even more stark; 57% of economists surveyed expect a downturn by 2020.